Keep your supplies closer to where they’re used, and track how they are used. Vending machines are a customizable solution to asset management by way of configurable software that monitors inventory levels & usage. Multiple units expand your single supply room to a multi-department, electrically monitored inventory dream. Keep department specific supplies closer to where they’re used. This minimizes trips to the tool room, and ensures the wrong tool or part doesn’t get taken by the wrong department. Wisco’s partnership with CribMaster means we can customize a solution specifically for your facility’s needs. 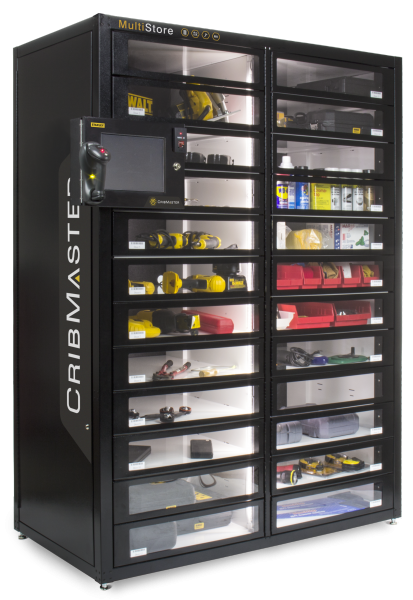 Configurable software allows endless customization between all of CribMaster’s vending units & tool boxes. Wisco offers Vendor Managed Inventory as an option to all of our customers. Let us take the time and cost out of managing inventory levels and re-ordering. We’ll take full responsibility of maintaining an agreed inventory, and personally show up every week to ensure you’re business is always able to run.